Join us for an out-of-this-world day touring two celestial venues. We'll begin at Flandrau Planetarium & Science Center with an exclusive, guided planetarium show, followed by an exploration of the hands-on science, space exhibits and spectacular displays of minerals, gems and fossils in the on-site UA Mineral Collection. Next, we'll drive up Mt. Lemmon Scenic Byway to Mt. 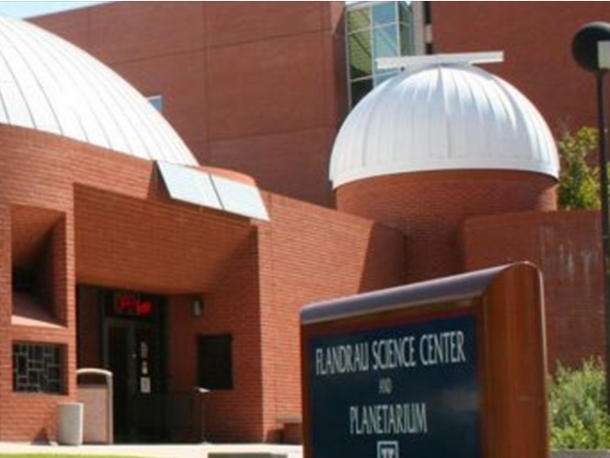 Lemmon Sky Center, home to UA Steward Observatory and its public astronomy program, where we'll embark on the Picnic Day Tour and learn about the observatory's history and plans, the Catalina Sky Survey, and the purpose and people behind the 11 telescopes on the site. We'll close with a solar viewing, weather permitting, before heading back down the mountain after a day with the stars.